Larry and I met in April, 1990 at Jazz Fest in New Orleans. We were introduced by mutual friends from Los Angeles. When we all returned from New Orleans, we continued going out in a group to see music acts across Los Angeles. In June, Larry called me up and asked if I wanted to go see some music and maybe have dinner first. We agreed upon a gig and a place for dinner. He picked me up. It wasn't until our check for dinner was on the table that I realized this was a REAL DATE! I was so used to going out with a bunch of friends, including Larry, and always paying for myself, that it took me awhile before I realized that Larry liked me...in that way. 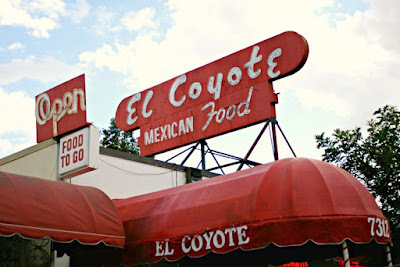 Our first dinner date was at El Coyote Restaurant on Beverly Boulevard. The place is an L.A. institution. 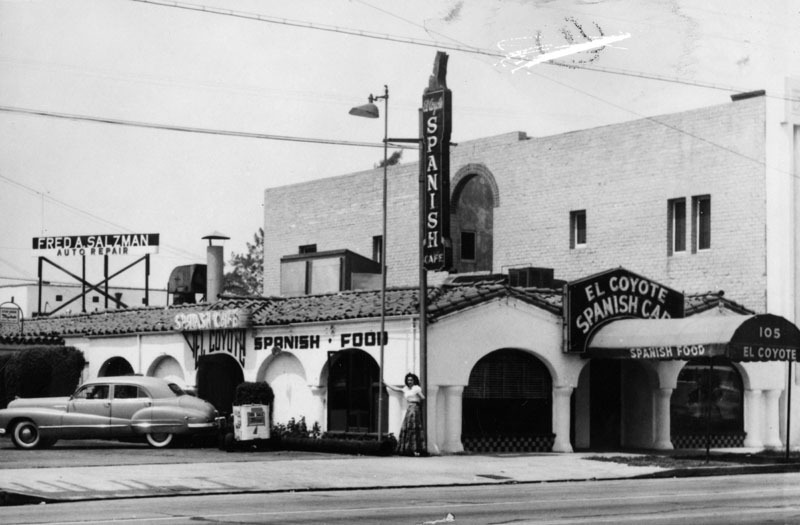 It started out in a smaller building on La Brea at First Street in 1931. 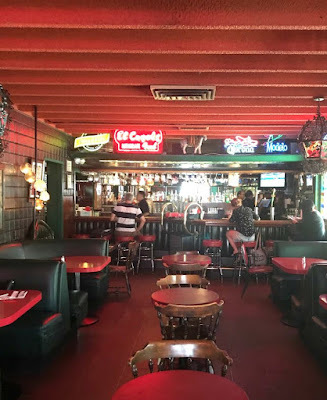 They moved to the Beverly Boulevard location in 1951. I've been eating here ALL my life. My parents used to come here on dates! People complain about the food and say it's terrible. It isn't terrible, it's just a different style than the Mexican food we have become accustomed to in Los Angeles. We are so lucky that many regional and authentic styles of Mexican food are available now in L.A. In the old days, our choices were limited. 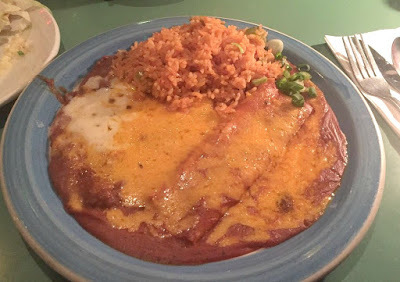 Personally, I like going retro with American style Mexican food once in awhile. Oh! That orange cheese on everything! Yum! Yes, there are beans, rice and enchiladas under all of that orange cheese! 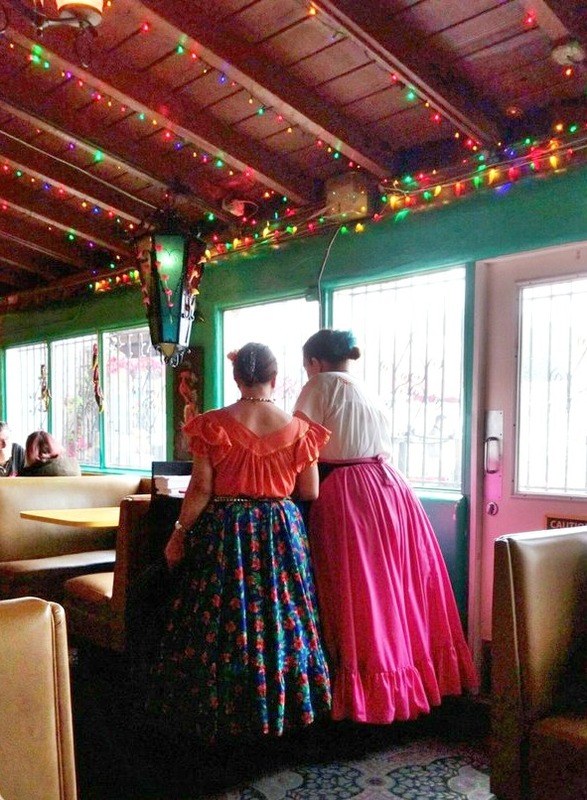 Another great feature about El Coyote is the atmosphere. 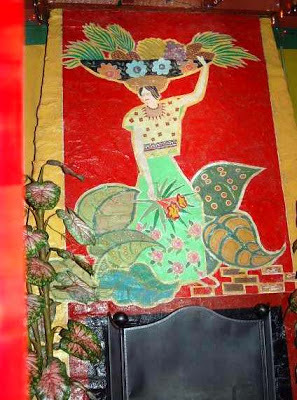 Generally, it's a hacienda-Spanish Revival style. 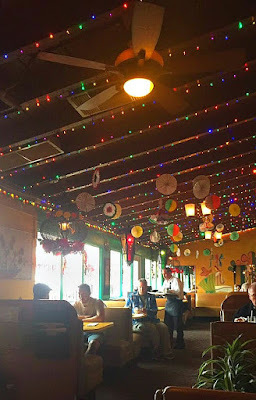 There are many different, darkened dining rooms, all decorated with lots of lights, flowers, lanterns and questionable accessories. Charming! 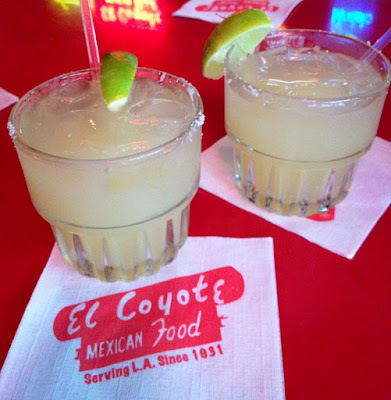 El Coyote's food may not be the best in the city, but everyone loves their margaritas! A salty margarita along with some crisp chips and their chunky guacamole can almost be a meal! Our wedding anniversary is coming up this Sunday, March 3rd. We may just re-live that first date and go to El Coyote for dinner! 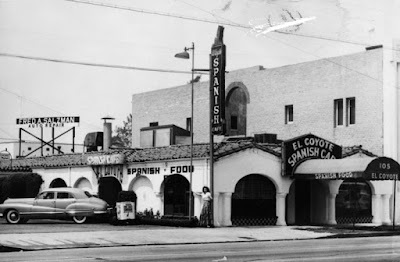 The original El Coyote at 1st and La Brea, L.A.